Brent Sammons of the San Diego GO chapter will provide us with a candid look at the status of climate change, what's already being done about it, and lead us in a discussion of what each of us can do to help. Brent recently completed the Climate Reality Leadership Corps training with Al Gore. As members of the Great Outdoors, we enjoy coming together in beautiful, natural places. As we all know, those places have already started to change due to global climate change. While it can be a difficult subject to talk about, we're most empowered when we're informed. Taking a candid look at how our natural environment is changing and what's causing those changes can help point us to solutions. 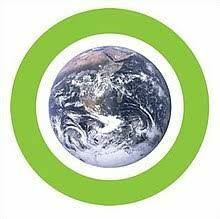 For more information on the Climate Reality Project, click here. LOCATION: The Center is located at 1301 North Palm Canyon Drive, Palm Springs, CA. It is on the same side of Palm Canyon as Denny's restaurant, on the up canyon side. We are on the Third Floor in Meeting Room 1, located behind the attendant's desk. Click here for directions.